Stories, lectures and techniques for self-mastery from the greatest of Spiritual Teachers East and West! It's an energy field. It's a blueprint, and it exists before birth and after death. Learn how to bring yourself back into perfect alignment. What does karma really mean? Why does it matter? And how do we deal with it? Oh, how the world needs love! Oh, how you need love! Is it not why you are here? 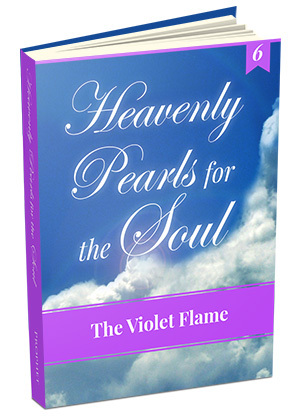 The violet flame has tremendous power to affect our lives because it is a high-frequency light that spans physical and spiritual realms. It is the vibrant spiritual light and fire that transmutes energy from its current state into a higher one.